Would you like to have your own Indrik mount? The wait is almost over. Take part in The Elder Scrolls Online’s upcoming events between October and December to summon a majestic beast of your own, completely free. Learn how right here. The Impresario is located at a special booth in Daggerfall in Glenumbra, Davon's Watch in Stonefalls, and Vulkhel Guard in Auridon. Of course, in order to acquire Event Tickets required to purchase the Indrik Feathers, you’ll need to know which events we have upcoming! Here are the details on the next four in-game events and how you can earn their Event Tickets. Keep an eye out for official announcement articles closer to each event’s start date – they’ll have all the details you need to jump right in. 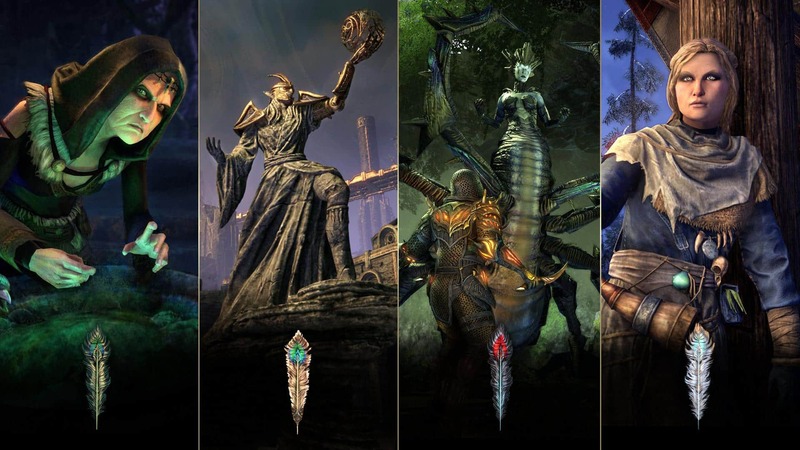 We are thrilled to finally introduce the new Nascent Indrik mount to the ESO community, and we can’t wait to see everybody take part in the game’s fun upcoming events. However, exciting things are on the horizon for these mystical beasts, and starting next year, you'll be able to evolve your Nascent Indrik into an even more beautiful creature. Watch out for full details in early 2019! Are you excited to acquire an Indrik mount of your own? Let us know on Twitter @TESOnline and Facebook.